46 inch Tan Picnic Table with Built-In Umbrella Support Picnic Tables are perfect for any outdoor space. They create a welcoming and inviting area to socialize and gather with friends and family. 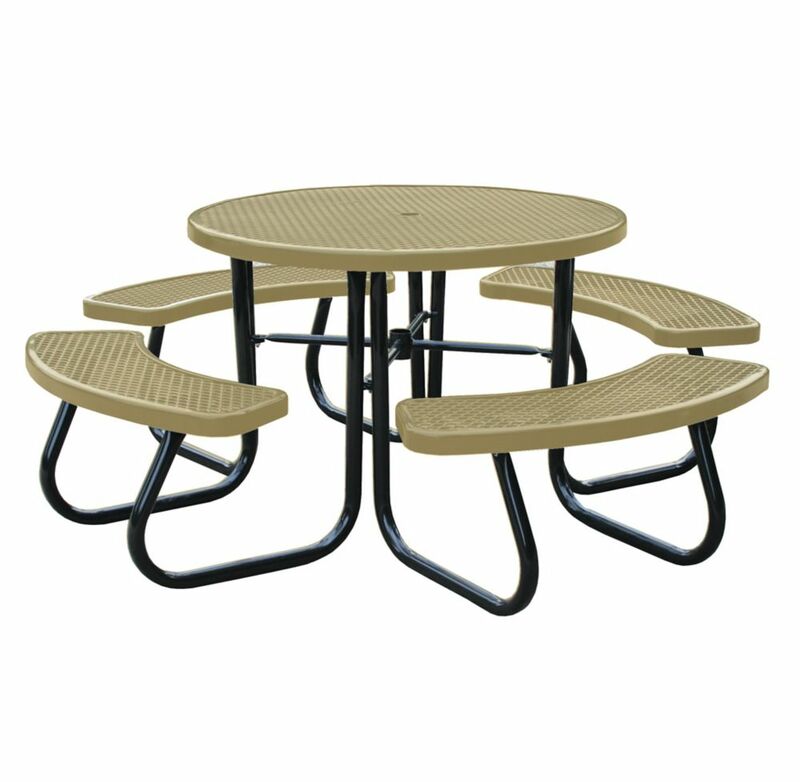 Paris picnic tables feature expanded metal table tops and seats to provide you with the best solution for your space.